When Google Maps first released their “Street View” setting in 2007, the public was blown away. It was hard to believe that if you typed in any location on your computer on any of the 7 continents, you would be given a 360 degree view of that exact position. Now, Google has taken another giant step forward, with the release of a digital time capsule setting on Google maps. Whether you’re watching your house change over the years, or seeing the transformation of the 2012 Summer Olympics in London, this addition to Google Maps has made it possible to reminisce as far back as 2007. At the moment, it might not seem like much of a time travel considering that it’s only a span of 7 years. However, every year adds more history. This feature will allow you to look back at all of the places you’ve ever visited, and how much they’ve changed overtime. For example, if you’re a teenager right now, in 60 years you’ll be able to walk through the memories of when you were a kid. This new element of Google maps acts as a historical guide. 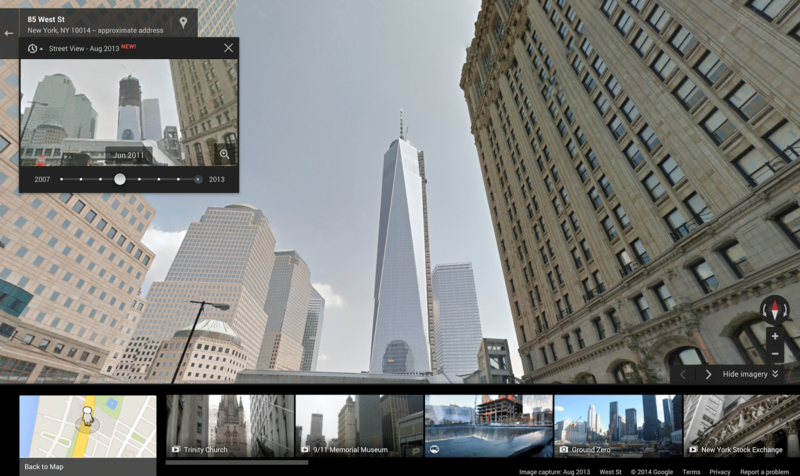 With Street View, you can now see the before and after effects of the 2011 Tōhoku earthquake and tsunami in Japan, the construction of the 2014 Winter Olympic Games in Sochi, or the growth of such landmarks as the Freedom Tower in New York City. What is truly incredible to think about, is that Street View will be in place for new moments of history. Once a world changing event occurs, Google Maps will have past, present, and future footage of it all. This will also be a significant benefit for tourists and travelers, since the “time machine” allows you to see how a city changes over the seasons. Meaning, you can see the fall foliage in New York City, the Northern Lights in Alaska, and the Sunset in Stonehenge, all from the power of your fingertips. ← How’s Your Online Marketing Strategy?